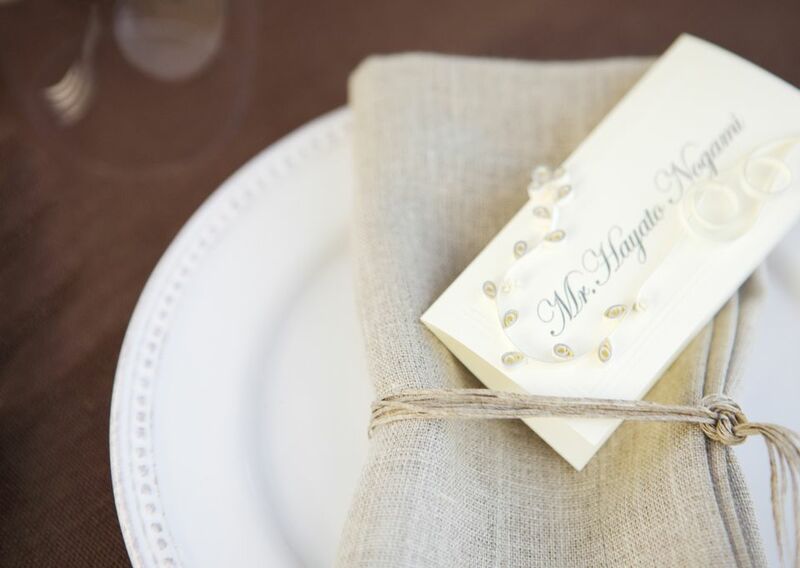 Wedding place cards are a must-have when it comes to your wedding reception. This is an easy way for you to plan out your wedding reception seating and they allow guests to easily find their place. Not to mention they add a wonderful bit of style to your wedding tables. These wedding place card templates are extremely easy to use. You'll need to download them, customize them with your guests' names, print them, and then fold them into place cards. It will work best if you print these wedding place cards out on cardstock so they have the strength to stand up when you fold them. You can change the whole look of the place card easily by using colored cardstock or a different wedding font. Hands in the Attic has designed these free wedding place card templates that are in an elegant black and white. They would go with any type of theme and could be used for all your wedding events. These tent cards are 3.5" X 2" once they are printed and cut out. Simply fold them tent style and you're ready to go. 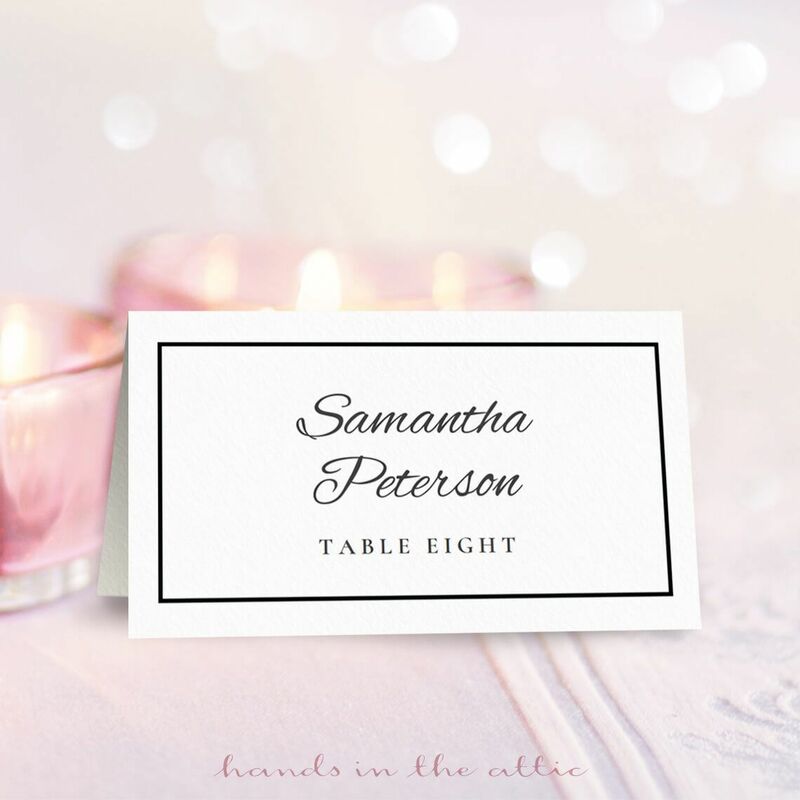 These printable wedding place cards from Delightful Distractions are so sweet and come in a variety of designs from casual to elegant. You can mix and match the designs of these wedding place cards or use all of the same patterns. Wedding Chicks has some adorable wedding place cards that give the look of chalkboards. After printing, you can write on them with a chalkboard pencil or white crayon or marker to give them a realistic look. In addition the wedding place cards, there are also matching table cards available that will complete the look. These sweet wedding place cards with stripes and hearts will fit into any wedding style, no matter how formal or casual. Each wedding place card can be customized with a name and table number before printing. Martha Stewart has designed some beautiful wedding place cards that come in black, gray, brown, orange, and blue. The place cards come in slightly different designs so you can get a put together look that isn't too matchy. The Budget Savvy Bride has created some very elegant wedding place cards that include the guests' names along with their table number. These may look elegant but they are incredibly easy to customize, print, and turn into final place cards. These lovely wedding place cards come in gray, black, and navy. Adorable stripes decorate the top of the place card with room for the wedding guests' name at the bottom. When you print out these wedding place cards, they print out six per page. You can add the names before or after printing. Here are some other place cards that aren't designed for a wedding but with a few tweaks they would work perfectly. Add the guests' names to the front of the place cards and then add the couple's names or initials along with the wedding date on the back.